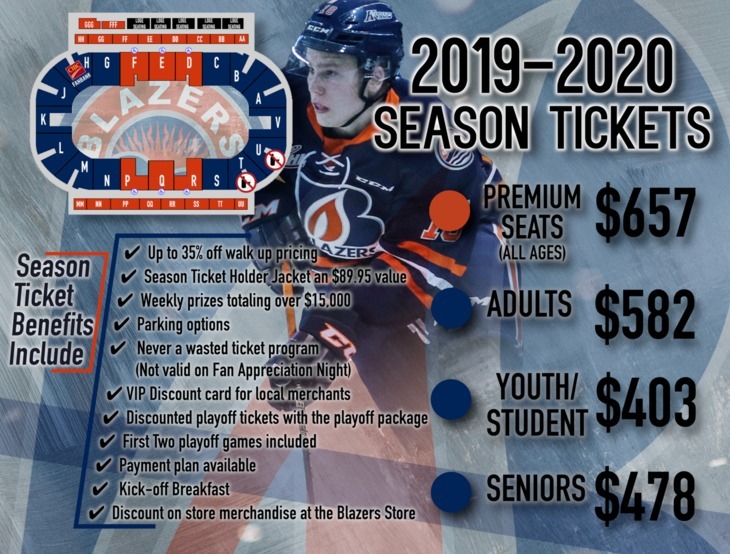 TO PURCHASE YOUR 2019-20 SEASON TICKETS OR FOR MORE INFORMATION CONTACT JIM CHOPPEN OR DAVID HOLE AT 250-828-1144 OR BY EMAIL AT JCHOPPEN@BLAZERHOCKEY.COM or DHOLE@BLAZERHOCKEY.COM. 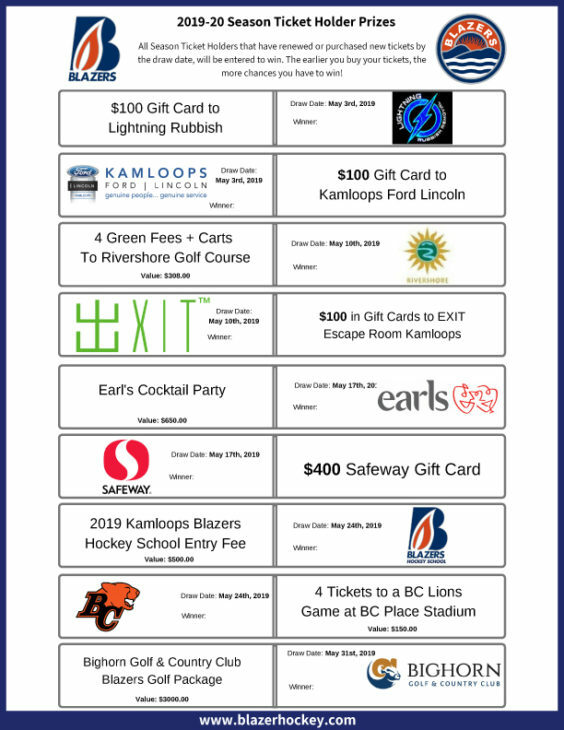 CHECK OUT THE 2019-20 SEASON TICKET HOLDER EARLY BIRD PRIZES! MORE PRIZES COMING FOR AUGUST and SEPTEMBER! Click on a section to see the view from that area.